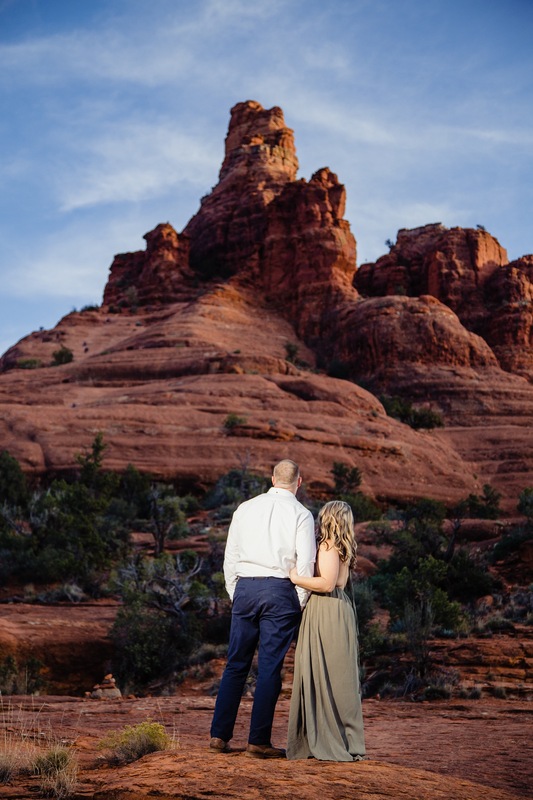 Keri and Randall traveled across the country for their Bell Rock engagement session in Sedona. The red rocks are always so inspiring! The evening was perfect with beautiful light. We explored Bell Rock, finding all kinds of breath taking vantage points. You really can’t go wrong! And by the end of our session we were treated to a fantastic sunset. Bell Rock is one of my favorite spots for Sedona engagements sessions and elopements. Even with quite a few people out and about enjoying the location it still feels intimate. You can always find your own spots to hang and and make photos. Enjoy!